Making the most of my SIMS years. 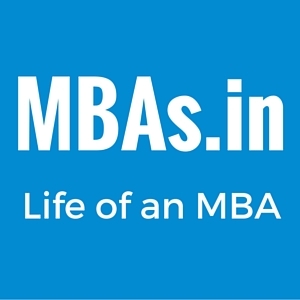 As my sister says – MBA will happen. Life post the orientation hasn’t been much different albeit the sternness of the council members and the morning drills. Once all the seniors were back in college the next buzz in the campus was the entry to different cells and committees. Each one pitching themself better than the other, the race was on. While some applied for every possible cell, there were a few who weren’t too keen on burning the midnight oil for the same. From articles, assignments, questionnaire, presentations to long waiting hours till the wee hours for a PI turn the selections were in full swing. Not just this, but even the faculty started giving us homework and assignments. Friday saw a never ending trail of students (or rather student managers, as the Director would say) outside the Campus Administrator’s office. This was to get permission for a night out over the weekend and meet those within the city or otherwise. Those homesick seemed to avail this to the fullest, while I happened to use it just once. The SIMS way of life is one of its kind, even when out for a weekend there happens to be a batch meet, and mind you this isn’t the regular batch meet it’s a placement batch meet. So what’s the big deal? Well you’ll be thrown out of placements in other words debarred if you’re absent, or for that matter even late for it. This seemed liked Orientation revisited, with all the sternness and irrational rules back in place-no moving, no smiling, no need to carry bags, definitely no cell phones, complete formals and to top it up the same way of introducing yourself prior posing a question! We were introduced to the new set of Placement coordinators from our batch and post that the session was called off. Really now that was senseless, for a 40min meeting locals returned from home to attend it. But yes that’s how placement cells always are. The next couple of weeks were full off revelations and results of those who made it to different cells. While some were happy to join their respective cells, those who applied to mre than 1 found themselves in a soup when they got selected in a least preferred committee. Well the caveat of course lay in the fact that one couldn’t be a member of more than 1 committee. Our e-mails were spammed with different newsletters and information on the upcoming clubs. Now you may ask what the difference between a cell and a club is. Well you can be a member of only 1 cell but many clubs such as the dance club, research club, drama etc while cells are the Alumni, events, editorial etc. So there were a different set of mails regarding the same, by now people treated these as spam! While of course some went ahead and applied for it too. Why this mad rush to join any committee? Well for the simple reason that this “adds value to your CV” and you have something to do apart from your academics to showcase your talents in the 2 year span. While it isn’t a mandate, its advisable to go ahead do something. My campus has the privilege of a swimming pool, gym, basketball court, provisions for yoga and aerobics. So, the evenings usually kept us busy in 1 or more of these recreational arenas. My personal favourite is yoga. It’s true that these 2 years is full of self-discovery and exploration but more than that its about what tweaks you can make in your life to achieve your goals and yet take out time for your passions. Amongst my batch mates there are a few entrepreneurs, some interested in it themselves, chefs, cooks, stock marketers, authors and the list is endless. Though it takes a while to understand the importance of doing something where your interest lies it’s what takes the cake at the end of the day. As very rightly put across by my sister “these 2 years have fun MBA will happen and you’d never know how time flew by-make the most of it”. Previous story The beginning of SIMS journey. My first day experience!